I thought that people might appreciate having a look at the prizes we’re offering for our current Contest! Mine is the easiest, and therefore gets first billing. Whoever wins my prize will be shipped a “Combo Smite” baseball cap very similar to the one I’ve been wearing for a month now. They’re comfy, they keep the sun out of your eyes, and they show your support of the best WarMachine podcast on the internet! (1) Here we see a brand-new hat in its native environment.. the hat comes in 2 sizes, “Small-Medium” and “Medium-Large”, and they have some stretch. My enormous, sputnik-like head fits into a “Medium-Large” very comfortably (or did after about a day of wearing it to get the stretch right). On the back of the hat is stitched “Combo Smite” in bold red letters, announcing to the universe the best podcast about WarMachine that we make. And probably one of the top 3 WarMachine Podcasts ever… there, I said it. I think we make a great little podcast! Here’s another shot of the hat with a convenient reference Stormclad… A simple, yet elegant, addition to any tournament outfit! 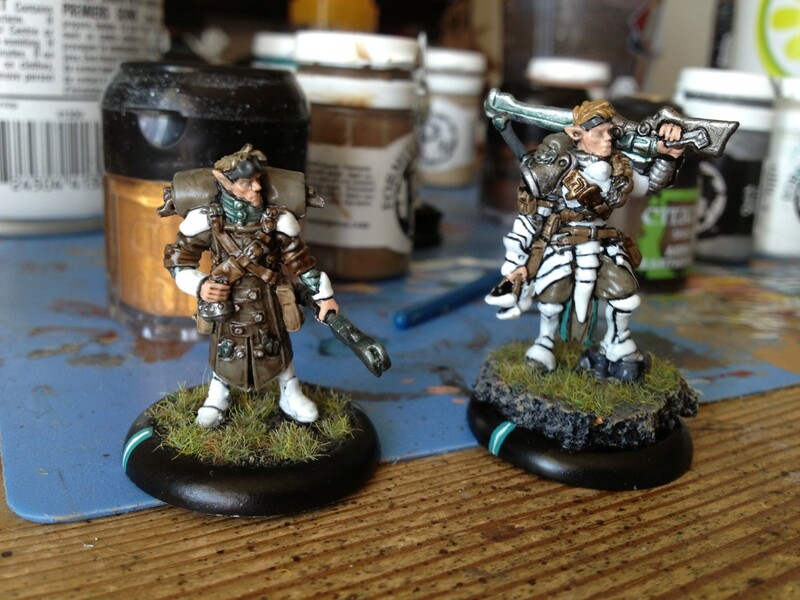 Next up we have Nick’s fine offering… a custom painted Kaelyssa done to your specifications! Here we see how far he’s brought the model thus far: You can already see some of Nick’s handiwork in the base, but obviously she will remain pretty plain until you (the winner) select the colour scheme you would like… and, failing that, Nick does a damn-fine “Studio Scheme” Retribution, in case you can’t make up your mind! A couple of quick examples of his work, so you can get an idea of what to expect… And lastly, the piece de resistance, Aaron’s drawing! Like Nick, Aaron is willing to customize your drawing to your specifications! Want a picture of Sorscha? He’ll do that! Or maybe a battle between Circle and Menoth, with Menoth winning? He’ll do that! Want Haley done like she’s a B-14 Bomber nose art? He will certainly try! Here are some examples of his work… Don’t make me explain them… just appreciate them for the talent required to make them! And, as you can tell, his particular style of artwork lends itself very well to the Steampunk aesthetic of the Iron Kingdoms! So, there ya go! Three great prizes for three of our lucky listeners! For your chance to win, all you have to do is put a comment in Podcast 051 here on Combo Smite, and for another chance to win leave a comment over on our Facebook page in the post about Podcast 051! Remember you just have to say either your favourite or your first Combo Smite memory from the last year. Thanks folks! 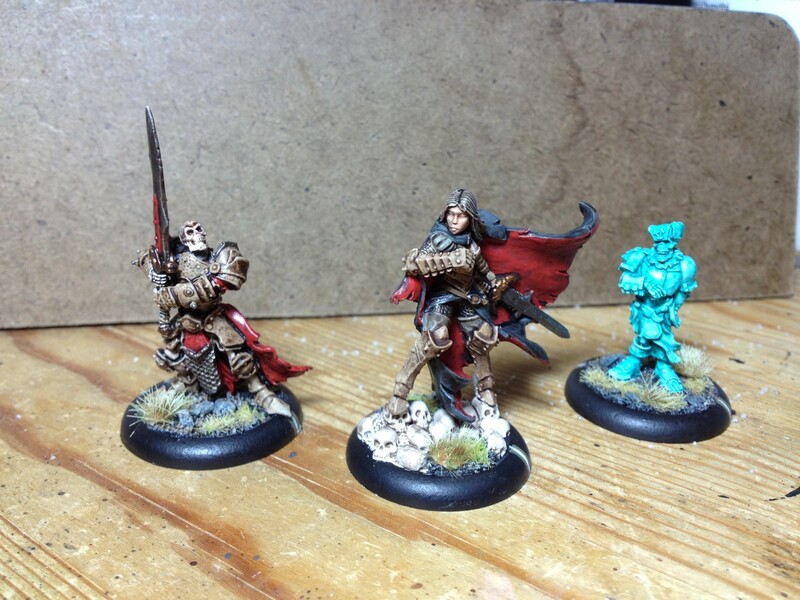 This entry was posted in Announcements, Contests!, Painting Table and tagged Contest, giveaway, Hordes, IABN, WarMachine, Why are my cohosts to much more talented than I am? by Marx. Bookmark the permalink. By the way… what does that IABN label actually mean? “Iron Agenda Blogging Network”. Hand Cannon Online runs a database-y sorta thing of WarMachine related blogs, podcasts, and the like. By tagging a post with that it shows up on their feed so that people who want to find a blog can do so more easily. Of course, the downside is that not everyone is as diligent as we are (so there are WH40K posts, and Malifaux, and Infinity…), but still, we get a bit of traffic that way so I’m not throwing stones! Thanks Twitch! Looking forward to getting them to some listeners!